This comprehensive history of the Celts from origins to the present draws on archaeological, historical, literary, and linguistic evidence. It is divided into three parts. Part one covers the continental Celts in prehistory and antiquity, complete with accounts of the Celts in Germany, Italy, Iberia, and Asia Minor. The second part follows the Celts from the departure of the Romans to the late Middle Ages, including the migrations to and settlements in Ireland, Wales, Scotland, and Brittany. Discussions of the Celtic kingdoms and the rise and fall of Celtic Christianity are also given. The final part brings the history of the Celts up to the present, covering the assimilation of the Celts within the national cultures of Great Britain, France, and Ireland. 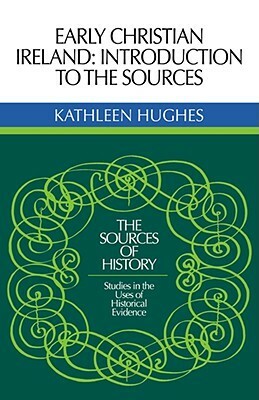 Included in this consideration are the suppression of Gaelic, the declines, revivals, and survivals of languages and literatures, and the histories of Celtic culture. This book, containing 20 maps and black and white illustrations, will be invaluable to anyone with an interest in Celtic culture or history. I’m always interested in what mainland Europe has to say about the Celts but short of learning German, French, or Spanish, I have to wait for translations, and this is what we have in this book. It was first published in German by Verlag C.H. Beck in Munich. Its German name is Die Kelten and it was published in 2000. In 2003 it was published in English. As such it doesn’t have any of the latest if theories and archaeological finds from the last ten years but that doesn’t take away from its worth. Maier, the author, had two aims in writing this book. The first is to present the general reader with a sense of how diverse the Celtic culture was and is. The second aim is to present the more advanced and specialized reader with a detailed reference to all sources pertaining to the Celts. I really loved the way the author talked about the prehistoric archaeological material in mainland Europe and in Ireland and Britain because he wasn’t just listing finds he was giving you the possible meanings of these finds, in short, it wasn’t a dull this was found there and it looks like this kind of commentary. I also love the way he enlists the help of the classical writers when giving the reader a possible motive for why the Celts may have done something. The chapters about Gaul, Iberia, Northern Italy, and Asia Minor were really something that I needed to read and will be re-read again extra slowly later to get more information and questions to research. I especially found the chapter on the Gallo-Roman culture and religion fascinating, as this was an aspect that I seriously am lacking in information about. I find the strength of the book is in the fact that unlike most books on the Celts it doesn’t just give a cursory look at the modern times but goes into an elongated look at it. I think the author very much realized the aims he was going for, there is something there for everyone to enjoy. Of course there are things in there that not everyone is going to agree with, such is the nature of the material presented, but I for one highly recommend it, if only to get a perspective from someone who is not British, Irish or American.